If you had my life you’d be sorry too. For many years, I learned to live in spite of my skewed perception of myself. I rebelled, found ways of escape, and used the lies to get what I wanted. I am a bit of an extremist so when I wasn’t escaping, I was overachieving to make up for my perceived lack. Oh, how the pendulum has swung far in my life. When I got sober and did a thorough inventory of myself and my defects, I discovered that self-pity was the biggest thing driving this ship. It’s so easy to be unaware until it isn’t. Once my eyes were opened to the lies I’d been living off of, I just couldn’t operate the same anymore. I changed. It happened instantly, but I don’t want to mislead you, there was a ton of work leading up to the moment of change. Recently, I was listening to the Tim Ferriss podcast where he interviewed Terry Crews, and I was really struck by Terry's profound self-reflection. Terry Crews is a former NFL player, a successful actor, and a phenomenal artist. Obviously a wildly successful guy. When I heard that even he still struggles with insecurities, it made me realize how common this is. You don’t deserve to be here, you’re just a dumb football player, you're a farce, these people are going to figure you out, you are a fake, you’re a phony, you fooled everybody, it’s a wrap, they are going to find out and kick you out of here. Fortunate for him, something was wrong with the camera and so he was given a break. Terry went off to the sidelines and gave himself a serious pep talk. That’s when he learned to always go in, rush in and face his fears. Terry went on to say that there has never been a time where those thoughts don’t try to creep in, they’re always there. Terry said, “if you care, you’re going to always be nervous.” That is a HUGE statement. As a matter of fact, it is downright refreshing. Ms. Maxi fought this this same fight. Read her story here. I’m still fighting off insecurities, and while today they are just a shadow of what I used to experience, I still need to face them. The contrast today is that I usually recognize them as that, lies. I can’t say there was a time when I cowered to fear. I’ve always been brave and willing to rush in, but I spent a lot of time going into situations with some false perceptions about myself and many times this resulted in me getting hurt. Today, I have several tactics to deal with the lies. For me, it involves praying and reflecting on my true identity. And then it comes down to taking action and facing my fears, but the contradistinction between then and now is that I take action knowing who I am, where I came from, and who I'm meant to be. It is all about reframing. Terry Crews shares a great story about this in his Tim Ferris interview. In a high school basketball game, he intercepted the ball in the final seconds and drove it down to take a shot which would win the game. He missed and was berated for taking the shot by his teammates, coaches, and the newspaper. He was crushed. Some days later he thought about it and realized, “I took the shot.” He was willing to go for it even if it meant failing. The thing he was berated for was the thing of which he became most proud. This is just a big lie. When I'm dead, it will be too late, but last time I checked I am not dead. Who am I trying to catch anyway? This is my journey. I am who I am today because of what I went through and my mistakes are some of my greatest teachers. Yeah, people may figure me out, the good, the bad, the ugly, so I might as well be honest about where I came from and how I got here. Perhaps, but does it really matter? And then I rush in. I move forward with whatever goal I’m trying to accomplish and perhaps I stumble. Perhaps I fail. Perhaps I succeed. Either way, I’ll come out knowing something new and get a little bit better. The book, Mindset, by Carol S. Dweck, Ph.D., is a great resource for learning to reframe. Dr. Dweck is a professor of Psychology at Stanford. Her research focuses on motivation and fostering success. 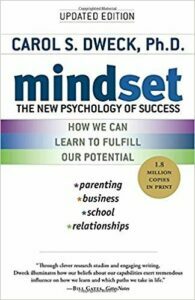 Dr. Dweck describes two mindsets, fixed and growth. Many of us have can have both mindsets but may lean towards one or the other for different things. People with fixed mindsets tend to view things with preconceived notions and limit themselves by saying things like, “I could never learn to dance like that” or “I am just not good at math”. A fixed mindset believes that you either have talent or you don’t. I'm either smart at something or I'm not. There is no room for growth in the fixed mindset and blame often takes over when failure presents itself. People with growth mindsets see everything as a challenge, an opportunity to learn and grow. It's almost as if one with a growth mindset intentionally finds things they don’t know and sets out to learn them. Growth-minded people recognize that hard work brings about fruit. When faced with a failure they will only work harder to get better and learn a new way. One of my favorite revelations when reading this book was to praise the process rather than the outcome. For example, instead of saying, “wow look what you did, you must be very smart.” Reframe it to say, “wow look what you did, you must have worked very hard.” Dr. Dweck's research has shown that praising intelligence rather than effort can push a child/person further into the fixed mindset. Interesting, huh? This life is a process and we can choose to grow or be stagnant. I choose growth! I'm happy to share some of the tools that work for me and am curious what works for you. We've all heard it before but that's because it is worth repeating, it's all about the journey, not the destination. 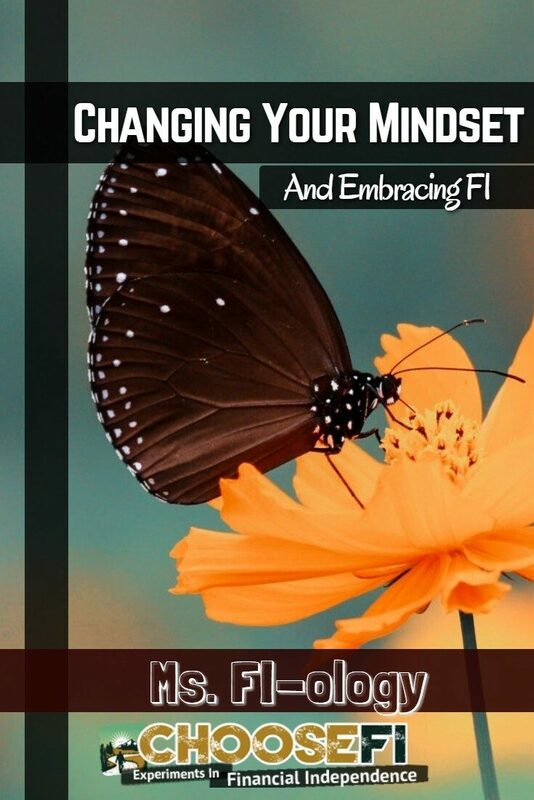 Want more from Ms. FI-ology? Check out her other articles here. Thank you for the inspirational start to my day Ms. FI-ology. I have just begun this journey in my mid-fifties so I also have many of the same lies taking up space in my head. The statement “A fixed mindset believes that you either have talent or you don’t. I’m either smart at something or I’m not” really resonate with me. I always spot my deficiencies much more quickly than my assets. Thank you for sharing your wisdom and insights on reframing. I am excited to be on this journey with like-minded people! Oh the lies! I am also so happy to be on this journey with like minded people. Together we can become a little bit better every day :-). This is a fantastic post, just what I needed to read right now. The lies that we tell ourselves can be so overwhelming and powerful, but we have to remember that they are just lies! Affirm yourself, lift yourself up, and see the progress every day! Amen! So glad you found it helpful.